By Louis Nowra. As Turkey enters the First World War, an American consul takes up the offer of a diplomatic game of poker in order to smuggle Armenians into Russia. When Leslie Davis suddenly takes up a diplomatic posting in Harput, a remote province of Turkey, he is determined to find commercial opportunities for America. 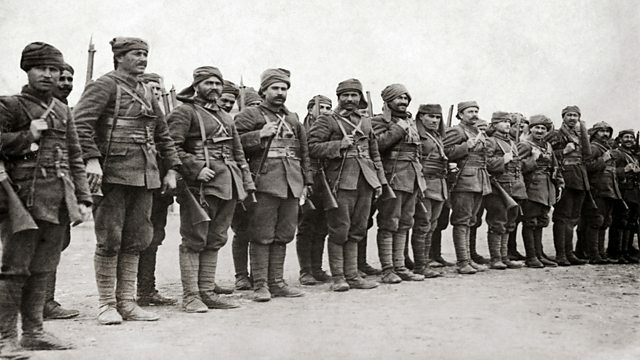 Instead, soon after his arrival, Turkey enters World War One on Germany's side. Davis finds himself playing poker to save the lives of his young secretary, his interpreter and many other Armenians. Later he wrote up the account of his Harput experience in a book called Slaughterhouse Province. Louis Nowra is a playwright who has researched Davis's life and work and the history of Harput. He is based in Australia and was drawn to this story by way of his admiration for the music of the Armenian composer Komitas, which features in the play.